I’m in cowboy country out here. A classic American icon. Songs are written about them, movies have been made about the ones in white hats standing up for what’s right, epic novels follow characters on the back of wild horses, on cattle drives and shootouts, sleeping under the stars and opening doors for women. I grew up out here surrounded by men like these. 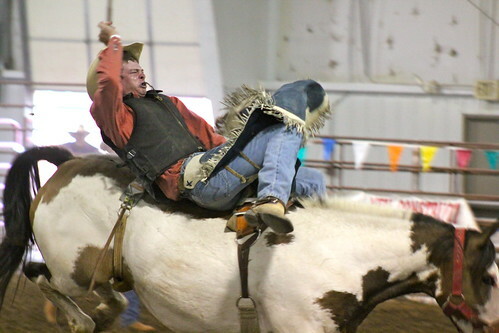 Men who would rope a 3,000 pound bull off the back of a half broke horse (because there was no other choice) in the early morning hours and then go home to rock their babies to sleep or to teach their preschooler how to ride a bike. 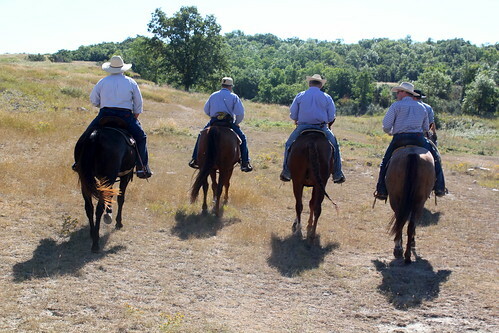 Men who would drop everything for a neighbor in need of some extra hands or an extra horse. 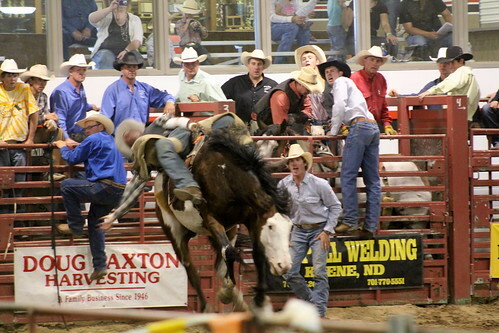 Men who had stories they would share over coffee or a beer about their rodeo days, having a buddy’s back in a fight, being stepped on, kicked, bucked off and bruised in the name of horsemanship and a living. To me no other man existed. As a teenager I had posters and magazine pages I pulled out of the Western Horseman plastered all over my walls. They were handsome, mysterious and capable of fixing anything…just give them a wrench and some wire. They were fearless and light hearted but serious about their work and their animals. They all wore boots and hats and a clean shirt when they went to town. They didn’t own a pair of loafers or a polo shirt…wouldn’t be caught dead in them, not even if one of their wives finally got them to stop working for a week and join her on a Caribbean Cruise. I was just certain all men had this in them. I was certain the market for khaki pants was a small one. 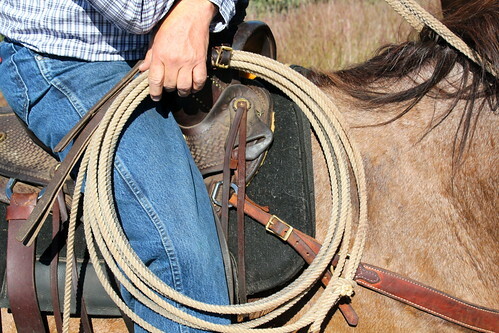 I was convinced cowboys, intense as they can be, were the only ones worth marrying, the only ones to teach your babies things, the only ones to feed around a dinner table. And as I grew up around these young cowboys who were working on becoming the real deal, I watched as they learned lesson after lesson about what it meant to hold the title. The true title. It was more than the outfit. It was the attitude. 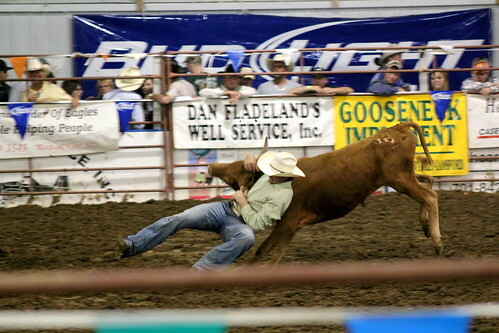 The confidence, the fearlessness, the quiet calm, the quick-wit, the ability to keep their composure while faced with challenges like staying on a bucking bronc for 8 seconds, jumping off a horse running wide open and wrestling a steer to the ground or working to save a sick calf. And when they failed, which every cowboy in training did, it was brushing themselves off and walking proud out of the gate. When their buddy beat them, it was a handshake, a hug, a good job brother. And then I moved away, where there were fewer cows, less dirt and more pavement…buildings between the trees. I missed a lot of things about the place I grew up when I was away. I missed the coulees and the bluffs and the sage and the crickets chirping through open windows at night. But it wasn’t long before I got used to being away, before I got used to the sidewalks and the men in sneakers and neckties. 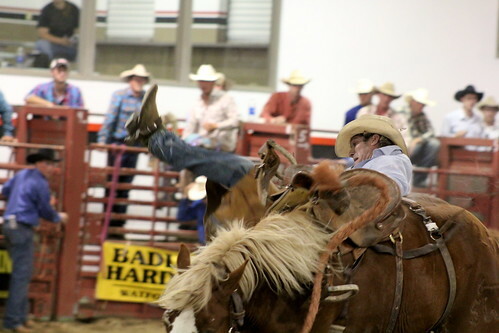 I was beginning to become convinced that maybe there weren’t many cowboys in the world, really. Maybe they were just contained in a few small places like western North Dakota, Texas and Montana. 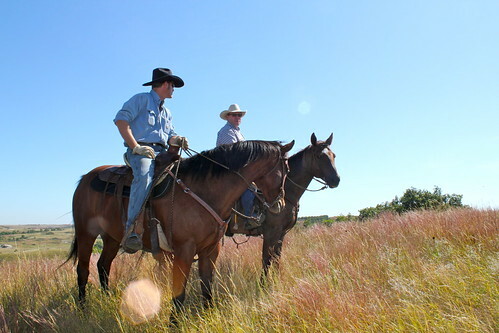 Maybe they were tucked away in those far away, wide open spaces…the spaces where cowboys go. But every once in a while I would find one. He’d be at a bar in a baseball cap wearing Cinch jeans and boots. He’d be playing pool and joking with his buddies, he’d buy a girl a drink, he’d lean on the table waiting for his turn in the relaxed and cool way only a cowboy can. Or he’d be in class with me, studying to become a banker, an agriculturalist, a teacher, something to earn a living so maybe he could move back to the ranch someday. Every once in a while he’d kinda gaze in the distance, the way I would find myself doing when I was thinking of home, thinking of the horses, thinking of the sage, and I’d imagine where he might be from and understand that kind of loneliness. Yes, they were out there. Because times are changing, it’s not the wild west anymore, there isn’t thousands of acres for the picking. 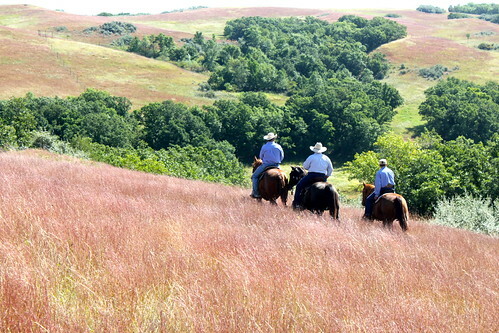 Family ranches are bigger and further between…and sometimes, cowboys have to move to town. And to me there couldn’t be anything sadder really-a cowboy in the suburbs or between skyscrapers. 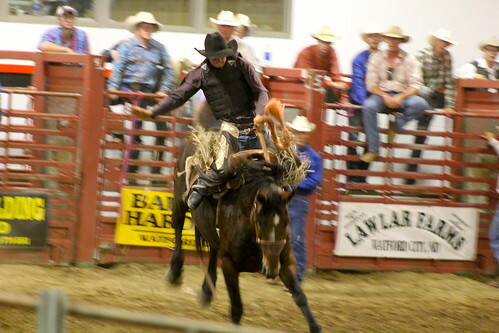 And I worry for my young sisters that maybe the real cowboys are a dying breed. 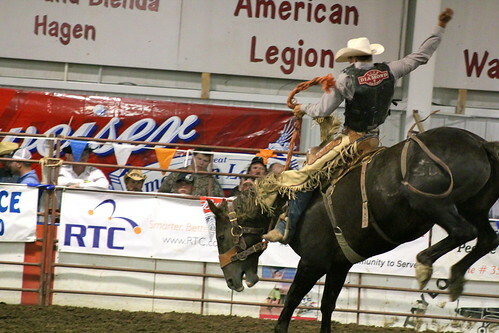 That maybe with the changing times, our fast paced world, the ease of which we can get things fixed, be entertained, make a living with computers and machines, that the cowboy culture is becoming extinct. 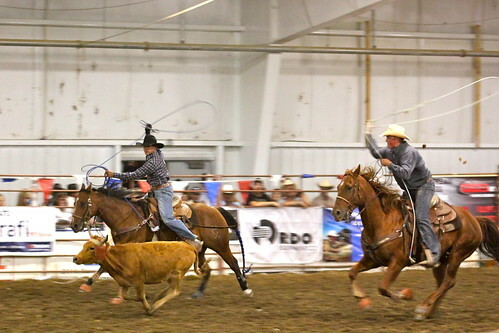 I worry until I find myself in my hometown on a Friday night watching some of the best cowboys and cowgirls in the nation rope steers, ride broncs, fight bulls and then go out back to their trailers to hug their kids in cowboy hats and jeans who are practicing roping on the dummy. 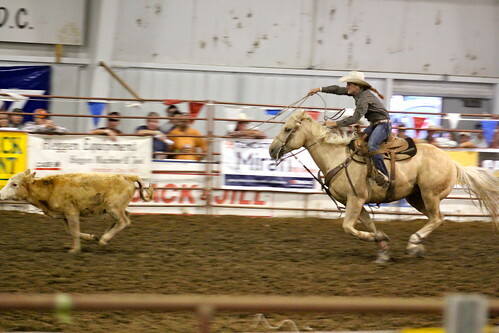 I worry until I witness the little girl I used to babysit from down in the badlands, the little girl who’s not so little anymore, bust out after a calf at full speed as a teenager competing against the toughest women who’ve been at this for years longer. 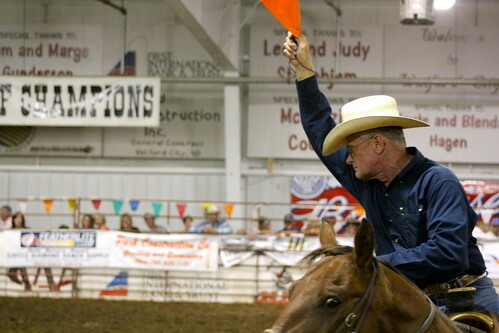 I am concerned until I see my uncle, one of the greatest horsemen and all around spirits I know, out there in the arena judging the events, cheering on the contestants, taking this tough job seriously only to wake up the next morning to make time for a nice long ride with my pops through fall pastures. 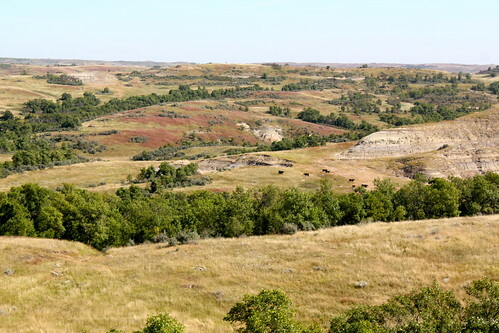 I worry until I take a ride with my pops and and my neighbor who wear the years of rough-stock and friendship and ranching out here in the badlands on their weathered faces and callused hands. The two men who grew up together, who remain neighbors and who have taught husband and I everything we know about cowboy so that someday we might pass it along to our children. And so I am reminded that there are cowboys around every corner. Good men. Hard working, sacrificing men making the world an adventure, noticing the stars and the Northern Lights, feeding our families and keeping our land healthy…staying strong. I say thank God for them. 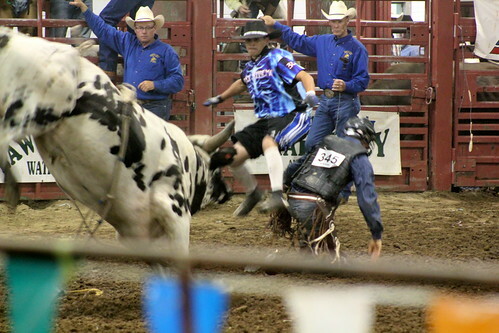 This entry was posted in Community, Photos, Ranch Life and tagged Cowboys, family, Home, life, musings, NDRA, North Dakota, photography, ranch, Rodeo, Veeder Ranch, Watford City, writing by Meanwhile, back at the ranch.... Bookmark the permalink. Very well done posting. I enjoyed the flow you incorporated with the text and the photos. Not a cowboy myself nor I have been around them, but your post made me wonder what I’ve missed. Thanks, Jessie. That was nice. Jessie, you just make me weep with your beautiful words. Keep at your writing. YOU have to spread the word, as no one else can, so we can all be better informed about the things in life that really matter. Where’s Wade when you need him? Who is your neighbor in the pics? I probably know him. Actually, when I moved to Evanston, I dated a lot of guys and met an “urban cowboy”. Guess whom I married? We don’t wear our cowboy hats any more and our boots are not practical here, but, my house is a witness to my ND background. Thanks for the memory. Glad to hear it Karen! LOVE THIS, Jess! 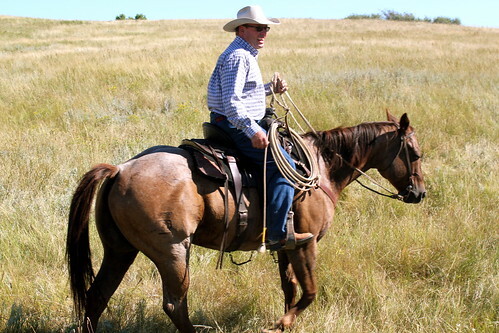 I have often wondered the same with my kiddos: will they carry on their cowboy legacy? That pic you snapped of Dad is priceless… totally his “serious face”! 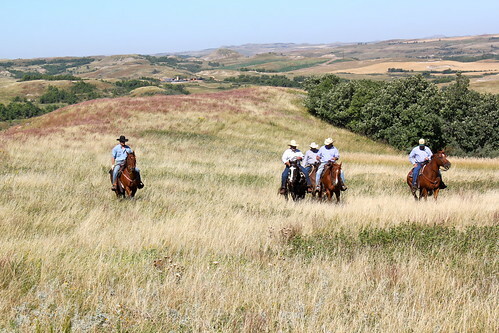 And the band of amigos riding off into the Badlands is perfection, I will always think of these Cowboys like that – you totally captured them their element (I can almost hear the stream of bullsh*t flowing as they chat & ride!) Nice work!! Thanks Ashley! Hope all is well. Hi Emily! So great to hear from you. I hope all is well. Thanks so much for your kind words. I am glad I can remind you of home and bring you back for a bit. Take care! Oh Jessie, you made me cry (might be my pregnant hormones), but this is so beautifully composed and the pictures are testament to your words!! Just marvelous!! 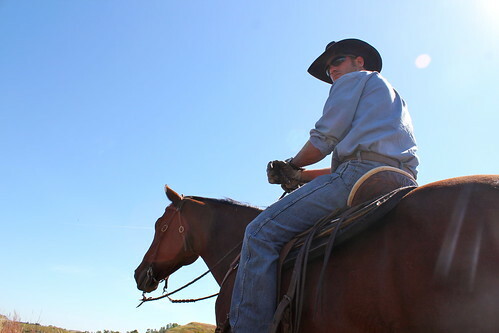 Cody, my husband, is far from cowboy, but he loves the land and the animals and I wouldn’t trade our ranch life for anything in the world! It’s the only place I would raise our children to teach them all of those lessons that aren’t learned in school, in town, or anywhere else! Thanks for reading Jess! So glad you found this post. I sat with Lindsey during the rodeo and watched her and Sierra write down every score, then took Sierra to get an autograph from the rodeo queen. What great company. I wouldn’t trade our rural lifestyle for anything either, we are pretty blessed. And you children are lucky to have parents who appreciate the landscape and who will teach them how to do the same. Take care!